At Chiropractic Works, people consult us for a wide range of reasons. For many it can be an acute injury or a long standing grumble. Whatever the reason for consulting us, we pride ourselves on giving you honest, upfront advice in our friendly and caring professional clinic. Why not take advantage of our complimentary 15 minute consultation. Top reasons people come to see a Chiropractor. Increasingly posture appearance or postural pain is becoming more of a problem. Its no surprise really with ever longer periods of sitting, driving and increased tablet and smart phone use. With effective methods for dealing with Anterior Head Syndrome and imbalances in the pelvis. Often we see the consequences of injuries rather than the injury itself. These may be the result of a slip, fall or car accident which are painful at the time but have been left untreated thinking time will heal. 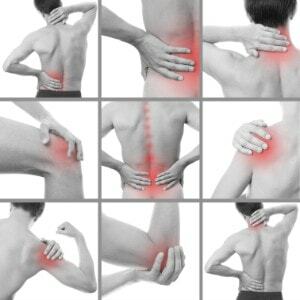 Often long term problems develop, especially if pain persists and is left untreated. Pain is a wonderful symptom ( or as we like to say a Secondary Condition) which should never be ignored. Pain is an indicator something is not working correctly. One of our primary aims when you come to see us at Chiropractic Works, is to first relieve the pain and then to find and improve the cause of the problem. Many people training for an event find that they can begin to suffer with overuse injuries or injuries resulting from trauma. The increased demand placed on your body by training can have adverse effects which can be reversed by improving spinal function, enabling many athletes to improve thier performance and do activities more easily.